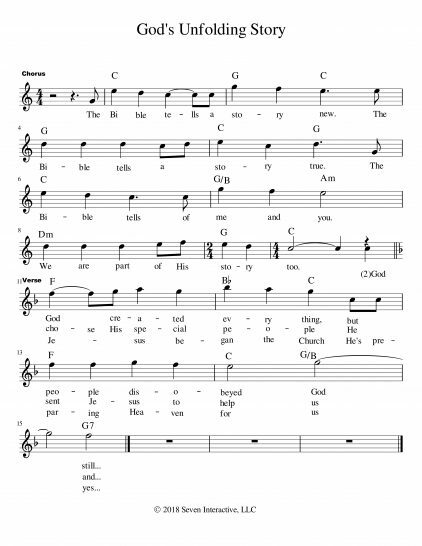 One of the best ways to help a child learn something is to put it to music. 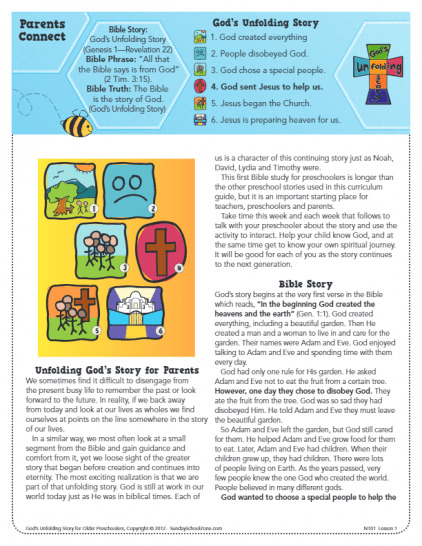 After having the God’s Unfolding Story narrative elements out there for several years, we have finally put the elements into a song that will help kids learn them. 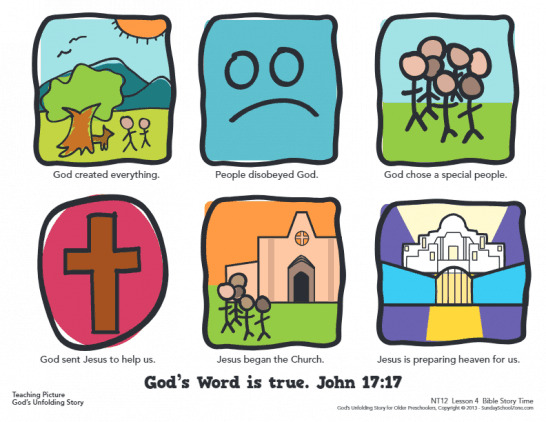 And, it’s free! 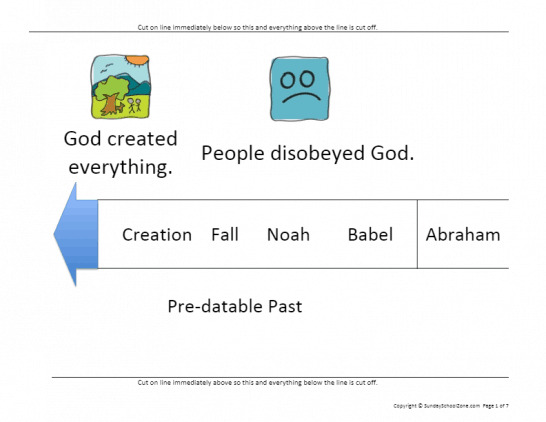 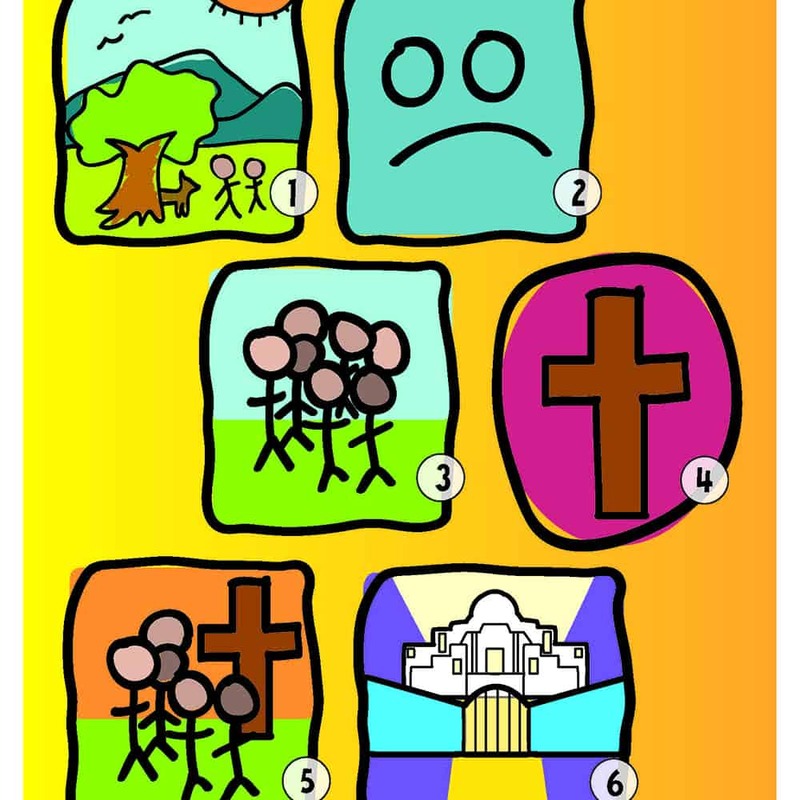 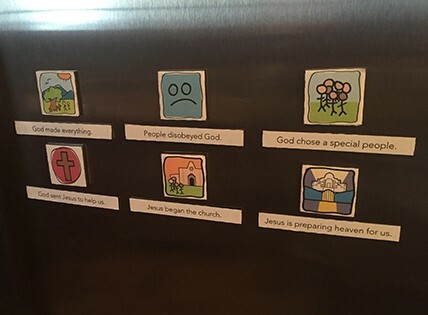 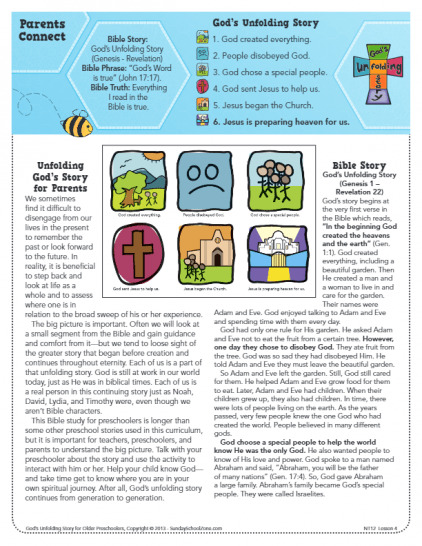 These free magnet printables are a great way to help kids (or anyone) learn the six elements of God’s Unfolding Story. 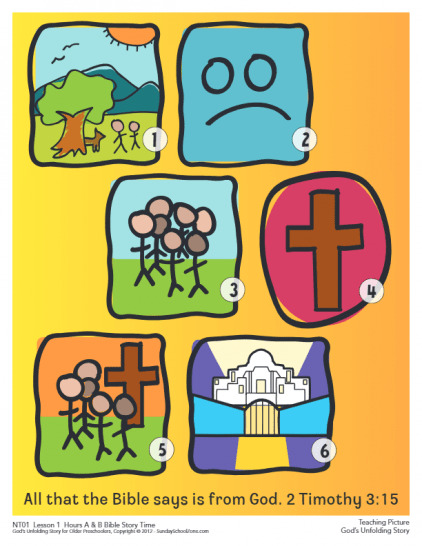 They are designed to be printed and cut so they fit specific, common-size adhesive magnetic squares/strips. 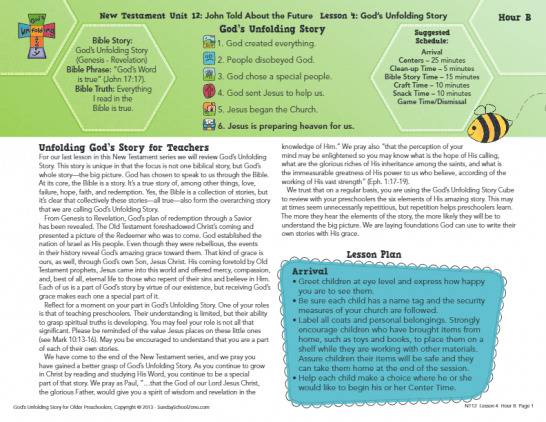 This free printable Bible timeline can be printed on a standard home printer, then easily cut and taped together to create a 66-inch timeline for use in any children’s Bible teaching context. 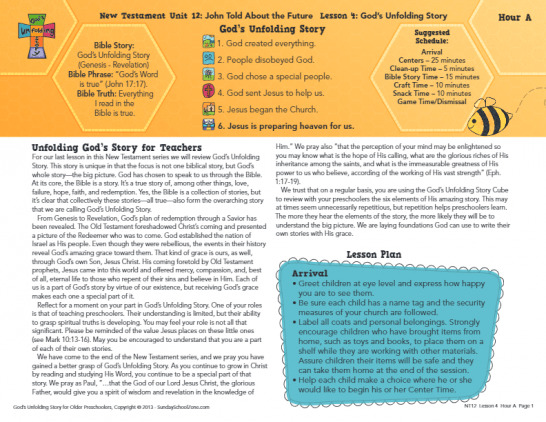 Other related resources are also available.